Part of the Tietolipas series. 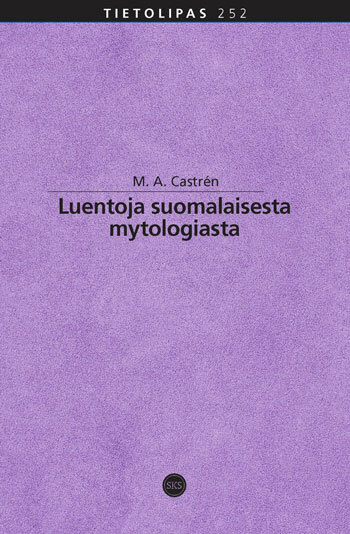 Matthias Alexander Castrén’s (1813–1852) Luentoja suomalaisesta mytologiasta (’Lectures on Finnish Mythology’, originally Swedish ’Föreläsningar i finsk mytologi’) is a key work in the research history of Finnish mythology. This is the first Finnish translation of it. 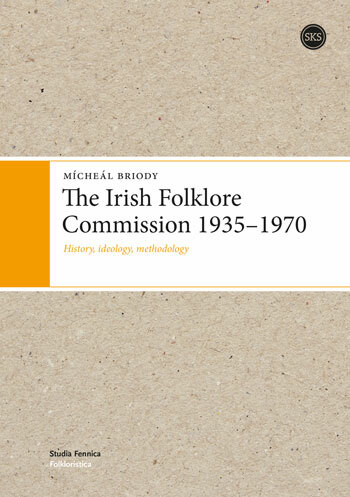 Despite ’Lectures’ in the label, the work is a coherent book. It makes a systematic approach to ancient Finnish religion on the basis of earlier mythographers, Castrén’s fieldwork among Finnic peoples and the latest European research trends of the first half of the 19th century. Even though Castrén’s Lectures significantly developed Finnish mythography and it served as a standard work for half a century, its significance was largely forgotten when new research paradigms were introduced in the course of the 20th century. The work is an important part of the history of Finnish research in religions, linguistics and ethnography and it also reflects the state of the study of mythology in Europe in the middle of the 19th century. The book is lively written and therefore, it meets the taste of the general public in addition to researchers. This edition includes a concise introduction to Lectures’ historical context, a scientific commentary and exhaustive indexes. M. A. Castrén is renown especially as a linguist and explorer who worked among Siberian peoples but his work was marked also by interest in Finnishness at a time when the idea of a Finnish nation was developing. Lectures was Castrén’s last work. He finished the book in his deathbed, and it was published posthumously in 1853. The translator and editor of the Lectures, Joonas Ahola, PhD, is an expert in Old Norse language and mythology as well as kalevala-meter poetry. The other author of the introduction, Karina Lukin, PhD, is an expert of North Siberian cultures and 19th century expeditions among them. 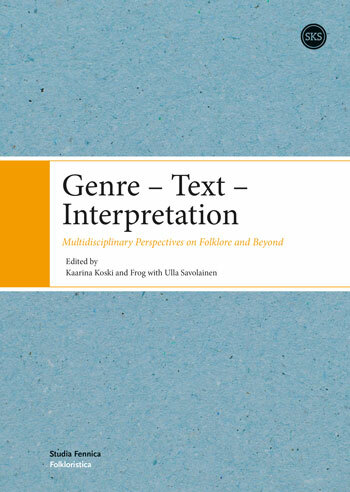 This book presents current discussions on the concept of genre. 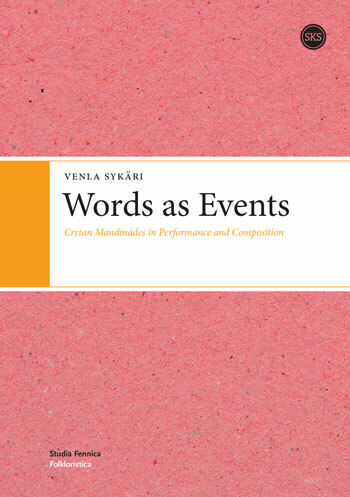 It introduces innovative, multidisciplinary approaches to contemporary and historical genres, their roles in cultural discourse, how they change, and their relations to each other. The reader is guided into the discussion surrounding this key concept and its history through a general introduction, followed by eighteen chapters that represent a variety of discursive practices as well as analytic methods from several scholarly traditions. 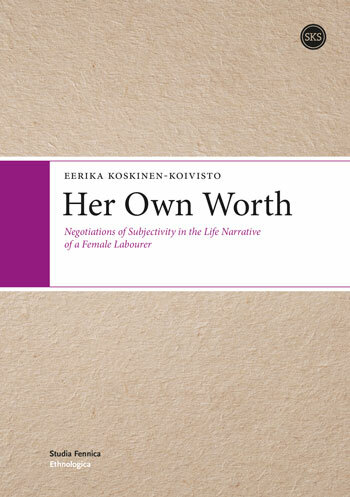 This volume will have wide appeal to several academic audiences within the humanities, both in Finland and abroad, and will especially be of interest to scholars of folklore, language and cultural expression. 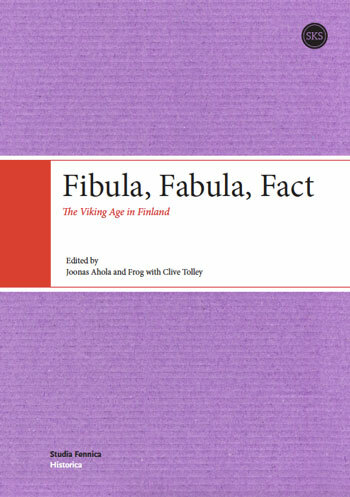 The chapters of Fibula, Fabula, Fact – The Viking Age in Finland are intended to provide essential foundations for approaching the important topic of the Viking Age in Finland. These chapters are oriented to provide introductions to the sources, methods and perspectives of diverse disciplines in a way that is accessible to specialists from other fields, specialists from outside Finland, and also to non-specialist readers and students who may be more generally interested in the topic. Rather than detailed case studies, the contributors have sought to negotiate definitions of the Viking Age as a historical period in the cultural areas associated with modern-day Finland, and in areas associated with Finns, Karelians and other North Finnic linguistic-cultural groups more generally. Within the incredible diversity of data and disciplines represented here, the Viking Age tends to be distinguished by differentiating it from earlier and later periods, while the geographical space is quite fluidly defined for this era, which was long before the construction of modern nations with their fenced and guarded borders. Most significantly, the contributions lay emphasis on contextualizing the Viking Age within the complexities of defining cultural identities in the past through traces of cultural, linguistic or genetic features. The volume opens with a general introduction to the topic that is intended to provide a frame of reference for discussion, paralleled by a closing afterward. The following chapters are organized according to three thematic sections which reflect the three aspects of any discussion of the Viking Age in Finland: Time, Space, and People – because any discussion of the ‘Viking Age’ in ‘Finland’ is necessarily concerned with individuals, societies and cultures. Mythic discourses in the present day show how vernacular heritage continues to function and be valuable through emergent interpretations and revaluations. At the same time, continuities in mythic images, motifs, myths and genres reveal the longue durée of mythologies and their transformations. 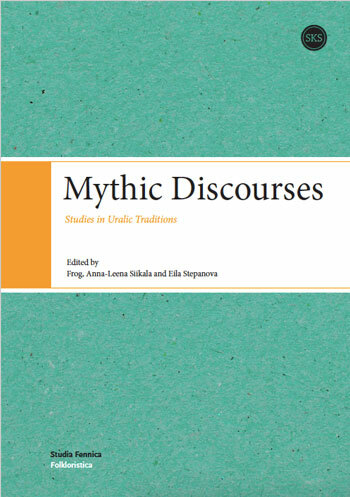 The eighteen articles of Mythic Discourses address the many facets of myth in Uralic cultures, from the Finnish and Karelian world-creation to Nenets shamans, offering multidisciplinary perspectives from twenty eastern and western scholars. The mythologies of Uralic peoples differ so considerably that mythology is approached here in a broad sense, including myths proper, religious beliefs and associated rituals. Traditions are addressed individually, typologically, and in historical perspective. The range and breadth of the articles, presenting diverse living mythologies, their histories and relationships to traditions of other cultures such as Germanic and Slavic, all come together to offer a far richer and more developed perspective on Uralic traditions than any one article could do alone. 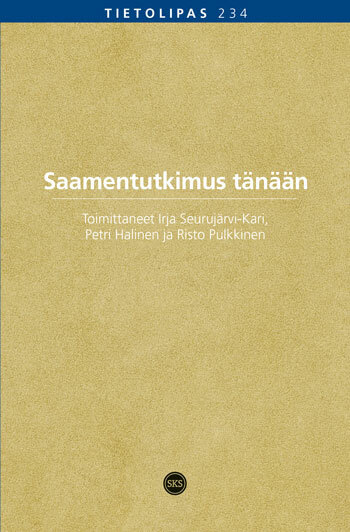 Saamentutkimus tänään is an introduction to the Sámi studies, i.e. the scientific study of the Sámi people. 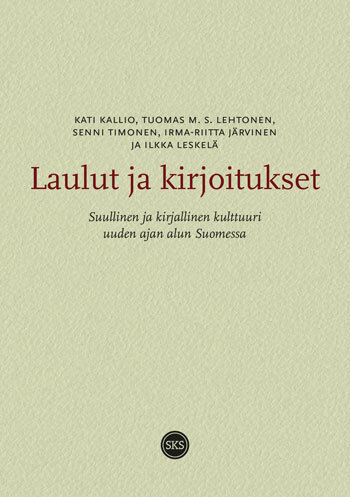 It gives many-faceted basic information of the Sámi people and presents up-to-date views of the disciplines related to the Sámi studies, e.g. history, archeology, genetics, linguistics, comparative religion, folkloristics, ethnology etc. It provides scientifically based knowledge of the Sámi during the prehistory and pre-Christianity, dealing with reindeer herding, handicraft, the Sámi languages, Sámi literature and art and civil right questions, including participation in the international movement of the indigenous people. All the authors are eminent experts of their scholarly fields, and all the articles have been revised by the Academic representatives of the Sámi themselves.